The Pink City, Jaipur forms one of the three constituents of the ‘Golden triangle’ – Delhi, Jaipur and Agra. It is today considered to be the fastest growing city in Northern India after Gurgaon. The city is known for its historical forts, monuments, handicrafts, jewellery and its scenic beauty. A popular and a favorite tourist destination of the country, this city is also making its mark in the real estate in recent years. Clean city, less pollution, wide and improved roads, environmental friendly and close to Delhi. Easily connectivity via roadways, airways and railways. Major companies, brands, MNCs are coming here like as Honda, Infosys, Cisco, Wipro, HCL, Coca Cola, Mc Donalds etc. The city boasts of the best 5 star hotels by the Taj group, Welcome group, Oberoi Group, including other heritage hotels. 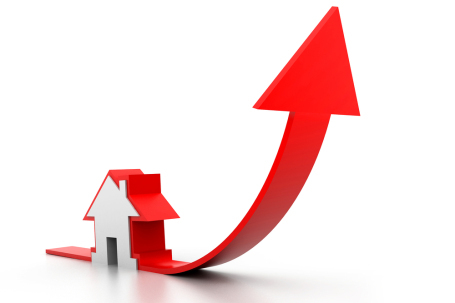 Yes, the prices of Jaipur Residential Property are increasing. According to a report published in 2013, the per square feet (psf) price for buying Residential Properties in Jaipur was Rs. 2,989 which was a appreciation of 22% compared to the previous year when the psf price was Rs. 2,455. In 2014, the price is anywhere between Rs. 3000 to Rs. 3500 per square feet. Infact, certain localities have much higher rates. There has also been an increased demand for residential plots in Jaipur Ajmer Highway as these are now available at very cost effective rates but very soon the prices will increase. One of the biggies in the real estate market, Vatika Group is developing a large number of Projects in Jaipur, both commercial and residential. These projects in Jaipur comprises houses, plots, row housing, condominiums, IT parks, recreational centres, shopping centres, hotels, malls and many other facilities. With a social environment conducive to economic growth and prosperity, Jaipur is projected to be India’s Mega City by 2025. This entry was posted in Township Jaipur and tagged Buy Property in Jaipur, Houses in Jaipur, Jaipur Residential Property, Projects in Jaipur, Ready to Move in Flats in Jaipur, residential plots in Jaipur Ajmer Highway on July 17, 2014 by Admin. Jaipur is a major tourist destination in India, and also known as pink city. In 2008, it was ranked the 7th best place to visit in Asia, perhaps it is also a reason for popularity. At present if we talk about property price rising you said right, compression to 2013 prices have really raised in 2014.